When you’re launching a product into a competitive market, you plan on nothing less than great success. You know that making a major impact at introduction is obviously critical—and that you’ll also need exceptional performance throughout the product lifecycle. 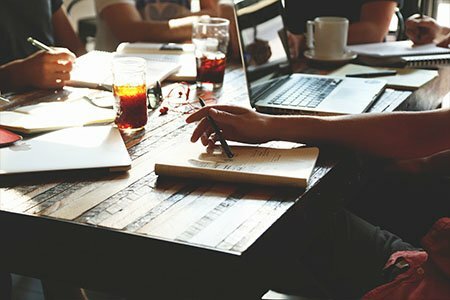 How can you improve your chances? The answer is simple—but the devil is in the details. The answer: Give your launch a rock-solid foundation. The details: Your entire launch team must be completely and unreservedly aligned—totally invested in your organization’s powerful product strategy while also committed to cross-functional alignment on every aspect of the strategic and operational plan. If you want to achieve maximum success, this approach is non-negotiable. For many organizations, identifying a winning strategy and aligning your team around it can be a challenging assignment. So how does one get that done? Exploring the patient journey. The team must fully comprehend and then define the patient’s experience from the onset of illness until he or she is (at least) stabilized—and, ideally, healed. 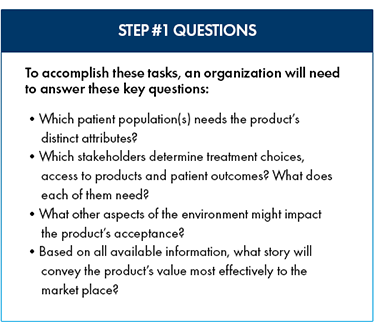 To understand the journey at a deep level, it’s vital to witness all affected viewpoints—not only the patient’s, but other central stakeholders including caregivers, providers, payers, etc. Analyzing the market dynamics. All relevant aspects of the product’s environment, including the competitive landscape, must be assessed. The strongest possible value story must then be produced—one that is solidly based on the research and thoroughly incorporates all of its implications. Once the launch team has developed the value story (sometimes called the value proposition), the team needs to individually and collectively decide how to leverage that story to maximize your launch strategy. It’s important to keep in mind that the strategy should not be overly broad, ambiguous or complex. Developing the product vision. The product’s vision is built on the foundation of your strong value story. The vision must focus on the launch goal while also being able to endure throughout the product’s lifecycle. Stating the market position. The market position is directly derived from the vision and the value proposition. It’s a compelling statement that crystallizes how you want the market to perceive the product’s positive and differentiating value. Setting the launch objectives. Once you have a clear vision and a differentiating market position, you are ready to establish the “pillars of launch,” also called the launch objectives. These are three to five very specific imperatives that support the positioning statement and are essential to launch success. 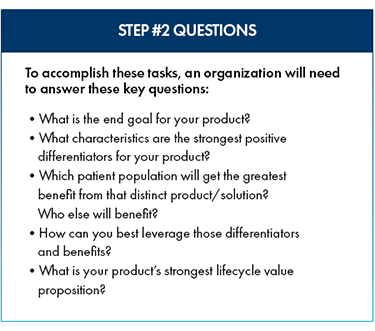 Examples of objectives include identifying target patients, raising the awareness/importance of the disease state, and elevating the urgency to treat among providers and payers, among others. Alignment around your launch objectives can best be achieved by holding a collaborative workshop where representatives of every key functional area provides input and a forward-looking consensus is created. 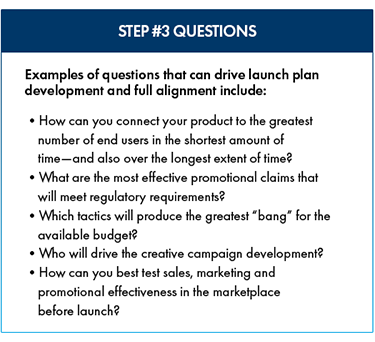 With the launch objectives in place, finalize your detailed launch plan. Effective alignment requires robust, ongoing communication within and among cross-functional teams throughout the organization. These teams (or “work streams”) must operate with true transparency, authentic collegiality, and continuous consensus building. The work streams can have individual strategies for success—but these must be aligned with the overall vision, position and launch objectives. Each work stream should identify the initiatives in its scope, and which launch objective each initiative supports. Teams also need to specify the business objective; the budget required; the timing; any cross-functional dependencies; and success measures for each initiative. Each member of each work stream should endorse and promote every component of the launch plan. To best accomplish this level of alignment, hold a workshop-style session that clearly delineates each team’s scope and responsibilities, and how it fits into the overall launch. Capture this information in a detailed yet accessible launch plan document that includes measurable milestones. With this plan in hand, you will increase the odds for launch success. Over the years, CMK Select has helped dozens of leading organizations align for launch excellence. To see how our proven methodology can optimize your product’s trajectory, contact CMK Select today.